Castle Builder II online slot presents Microgaming's castle-building theme in a different style. The content now combines Sandbox gaming features with the icon-matching play. Here, four types of building materials appear as reel elements. 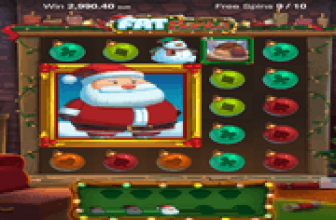 One-of-a-kind images landing as payline combos, furnish players with objects that contribute to a castle building task. Rewards are also earned on every winning combination, while bonuses are earned for constructing edifices that attract admirers. Players role-play as builder by choosing one of three Avatars, namely Sam, Mandy and Igor. Igor the Builder though is initially unavailable as unlocking this character requires completing a Sam or Mandy game cycle. Sam is ranked as the most skillful artisan, being the original character in the first Castle Builder online slot. Mandy, a female builder, constructs castles via a slot grid configured with a Free-Spins Bonus Round. Igor, on the other hand is a special avatar, as he appears as a full-reel Wild Symbol in his grid. Whichever type of avatar selected, all slot grids provide construction materials that a builder uses to complete a task. Each grid contains 15 paylines, to which Wood, Brick, Granite and Iron icons land as winning elements. The Wood Symbol has the lowest Paytable value, while the Iron bestows the highest rewards. The image of the Avatar in play serves as Wild Symbol that helps complete a winning arrangement. An Avatar Wild awards a prize, if identical Wild images land as a 5-symbol payline win. Other elements appearing across the reels also award prizes, and are in fact the high-paying icons in any Castle Builder II game board. Yet landing on 3, 4, 5-of-a-kind images of a particular building material is significant. Mainly because those symbols also award 1, 2, or 3 units that can complete a construction block. Multiple winning material-combinations are a boon because they bring greater numbers of construction pieces that will hasten the completion of a castle-building project. The story behind every task is that once the castle is complete, the princess or prince of the kingdom will choose a spouse from one of her or his admirers. Castle Builder II players will do the choosing as they receive whatever bonus prize held by the chosen Castle Admirer. Bonus Pot – Actually, the bonus prize depends on the type of materials collected and used in constructing the palace. 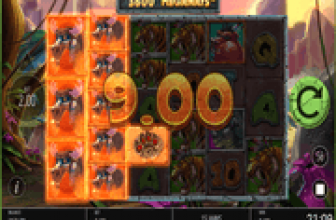 Striking payline wins via the higher paying Brick, Granite and Iron icons can complete a bigger and better castle, whilst creating a bigger bonus pot. A castle built mostly made from wood generates a small bonus pot since Wood Symbols are the lowest win-elements. The more impressive the appearance of the building, the better. After all, the admirers who show interest in marrying the prince or princess of the kingdom, will have more money to offer as bonus rewards. Choosing to play as Mandy gives players opportunities to land on materials and cash prizes via free games. Mandy's grid is the only Castle Builder II game category that offers free games. 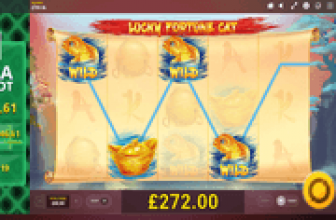 Three, four, or five Free-Spins Symbols scattered across the slot grid, activate 10, 15, or 20 free-spins. Castle Builder II : Slot and Sandbox Approach to Building Castles that Generate Bonus Rewards! Castle Builder II online slot is more than just a sequel to the original Castle Builder game, as the icon-matching play now combines Sandbox gaming. Payline wins generated by identical Building Materials award castle-construction elements in addition to cash prizes. Completing a construction task entitles players to bonus rewards, albeit depending on the quality of Castle constructed. Edifices built with premium materials generate larger bonus pots, which may increase if more of the so-called admirers visit a kingdom.